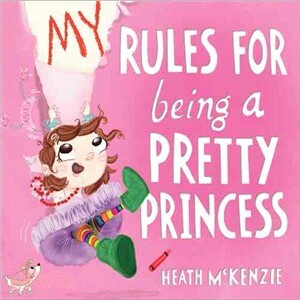 Rules are meant to be broken in this laugh-out-loud picture book about staying true to yourself. One little girl gets her greatest wish of becoming a princess only to discover that the rules of royalty are no fun. She has to have perfect hair and eat daintily and dance gracefully — boring! So, she decides to make up her own rules... A delightfully subversive picture book that teaches girls to be themselves — clumsy dancing, crazy scribbling and all.